Subject: National Award to Teachers for the year 2017 – Revised Guidelines. I am to refer to MHRD’s letter No. F.1-4/2017-NAT dated 15th June, 2015 on the subject cited above and to forward the revised guidelines for National Award to teachers for 2017. These guidelines alongwith Annexure-I and Annexure-II is Being sent for the necessary action. Individual employee has to submit his/her application for National Award through online mode. Employee must visit www.mhrd.gov.in. On the Home page of this site there is a mention “National Awards to teachers” on the right side. The employee has to click on this and it will open a new window. The employee has to click on “Apply Now”. It will open a “Sign-up-page”. KVS employee has to select the type of organization as “Central Organizations” and select “Kendriya Vidyalaya Sangathan” in the State Column. In the column of District, KVS employee has to select his Region under which he/she is posted. Applications shall be submitted only through online mode. Hard copies should not be forwarded to RO/HQs. Online portal for Regional Level and HQ Level Selection committees is under construction. Intimation in this regard shall be communicated soon. 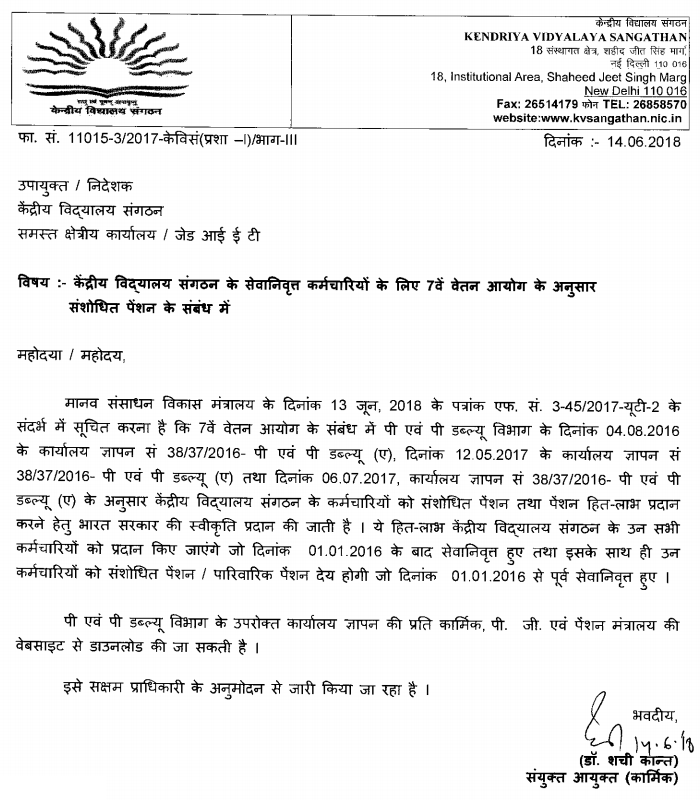 Last date for KVS employees to apply online is 30th June, 2018.